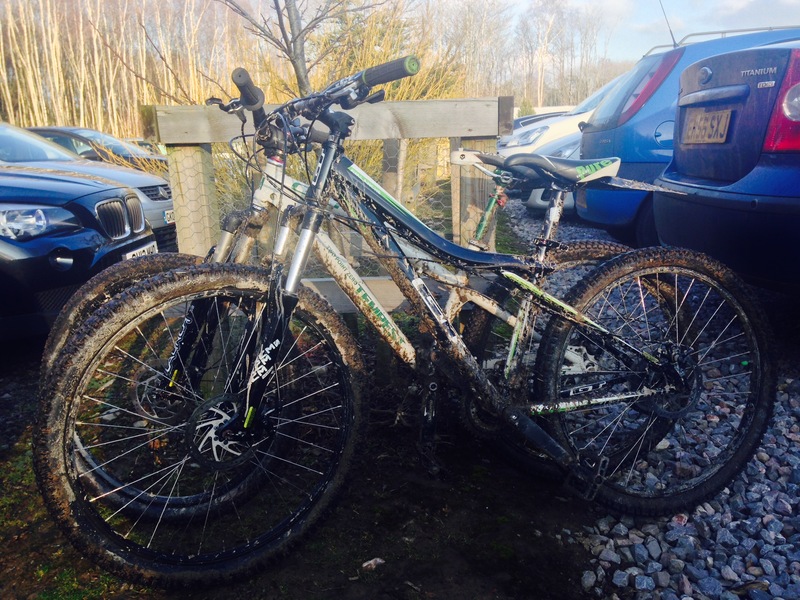 So, our first adventure in 2015 was a trip to the Bedgebury Pinetum and Forest for a bit of off road biking. 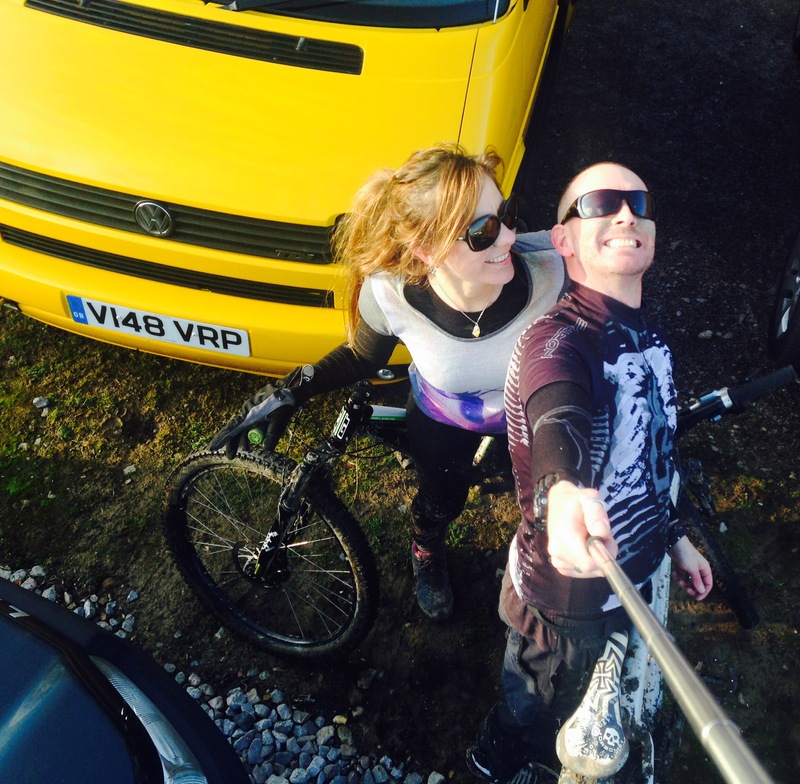 We bought each other a second hand mountain bike for christmas and a bike rack for the van with the intention of some cycle related adventures. Bedgebury forest totally caters for off road cycling, there is also a go ape activity center and the Pinetum which is beautiful. On the cycling front there is a family cycle path (blue) that takes you on a path through the forest thats not too muddy, hilly or taxing, thats what i’m told anyway..
Then there is the 5.5 mile singletrack trail (red) and the short but not sweet black singletrack trail. As you can see the trails are graded in the same way as you would a ski slope, you can find a map here. I felt we would get bored on the blue trail so convinced Lauren that the red trail is what we should do, she agreed but I got the feeling she wasn’t overly thrilled with the idea, bless her, she got stuck in anyway. 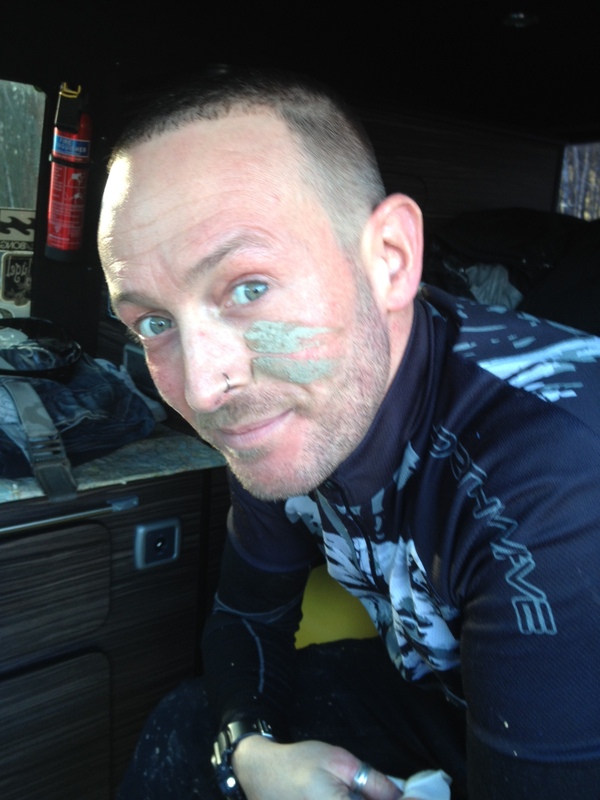 The next two hours were spent flying down tracks splashing mud everywhere, trying to get up steep hills with zero traction, riding over small wooden bridges and paths made of rocks, it was awesome ! Neither of us thought it would be as hard as it was, by the time we go back to the van we were both shattered, considering Lauren has never rode her new bike before she did brilliantly and made it up more hills than I did and didn’t bottle any of it, girl power! We took some sandwiches and drinks with us so stopped every now and again for a break and to take in the scenery. The trails take you through the pine woods, literally single tracks with jumps, burms and obstacles with great massive pine trees either side of you and often it’s just you and whoever you are with, it’s brilliant! You can also hire a bike if you don’t have one or you don’t have the means to transport yours, take a spare set of clothes too as you are definitley going to get muddy ! After a brew at the van and cleaning down the bikes at the bike wash station we followed the winter trail on foot around the pinetum. I can honestly say I had no idea there were so many variations of pine trees and confiers and this is the most comprehensive collection in the world! 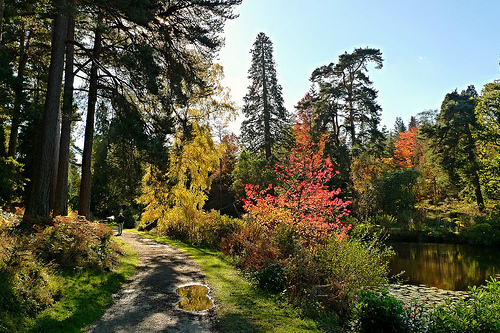 Also, because the trees are pine and conifer they can be enjoyed all year round, the grounds are really quite pretty to walk around with not just pines and firs but other interesting trees, lakes and little spots for picnics, can’t wait to go back in summer. By this point bellys were starting to rumble so we decided to head for food, our first choice, The Chequers inn @ Lamberhurst had great reviews on trip advisor for food, unforunately they stopped the food at 16.00 and we arrived at 17.00, we had a drink and sat by the fire and then headed somewhere else, The Vinyard at the other end of the village. Reviews on trip advisor said this pub was expensive, living in London however we are both used to marked up food and neither of us thought it was that expensive to be honest, a starter each, fat roast and drinks came to 55 quid, i’m alright with that especially as the food was lovely, service was great and the pub was warm and inviting. The pub also has a number of walks printed up around the local area that start and finish at the pub, you can grab a guide for each walk for free which is a nice touch. We’ll definitely going back both to Bedgebury and the Vineyard pub !